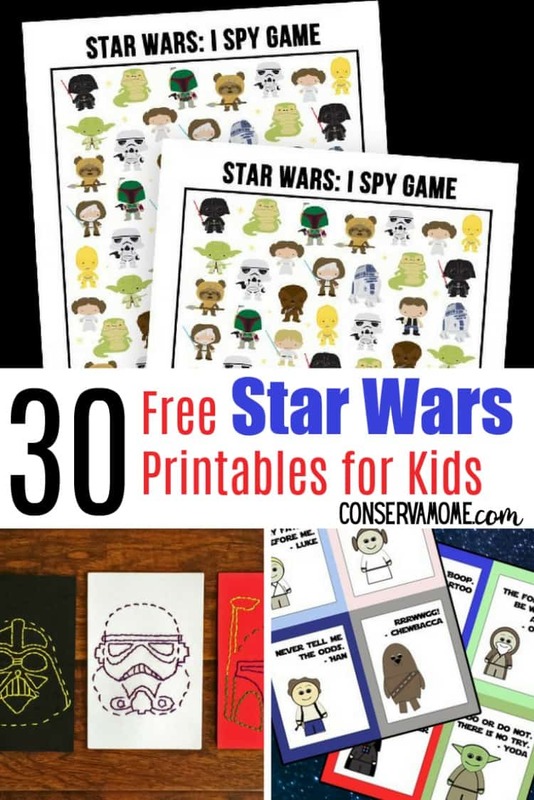 30 Free Star Wars Printables for kids - A fun collection of printable fun! Do you have a kido who loves star wars? Make their day special with a collection of 30 Free Star Wars Printables for kids. Including fun lunch notes, jokes and more! If you have little Star wars fans like I do, you know very well how exciting anything Star Wars can be for them. Let’s face it this series is pure awesomeness. 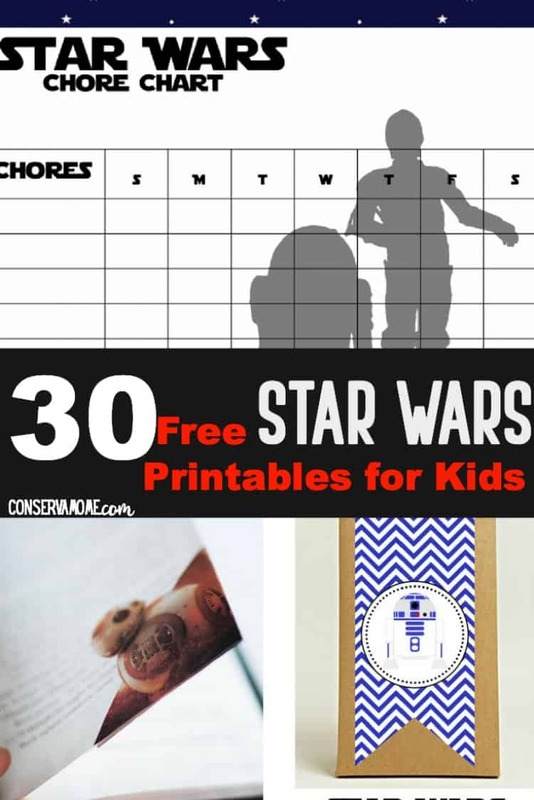 However, filling their Starwars need just got easier thanks to these fun Free Star wars printables for kids. You’ll be able to check out some fantastic activities, learning fun and crafts below. So read on to check out Free Star Wars Printables for kids! Are you looking for more fun Star wars activities, recipes and more? Check out this round up of 100+ Star Wars Crafts, Recipes and more!